As I sit in the rich delta soil, my mind wanders back to the evening Jaime de Angulo, William Carlos Williams, and myself spent drinking something Jaime called "coyote whiskey" and sharing what had most recently engaged our intellects. 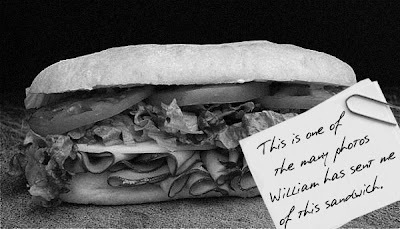 As usual, William went on and on about how he had yet again found the "perfect hoagie" at a new sandwich shop that had just opened somewhere or other. Jaimie was quite smitten with what he called the "delta blues," a form of music one of his ethnomusicology friends had recently introduced to him. He played a recording of a man named Charlie Patton, which he swore had literally captured the spirit of the south. But the quality of the recording was such that I could only make out a few errant guitar strums before they were drowned out by the voice of a woman cursing about a burnt "corn pone." I was unimpressed, but I kept an open mind. I had almost forgotten all about it when, while reading one of my scientific journals about mice, I came across an article about some interesting nests that had been discovered along the Yazoo river in Humphreys County, Mississippi. As I read, I found myself unable to concentrate and was instead haunted by the voice of the woman I heard a few weeks earlier and sincerely hoped that she was able to salvage her pone. I wept. I decided that if a recording of this music was powerful enough to cause my mind to wander from important news about my favorite creature, it warranted further investigation. I knew that traveling into the delta would mean passing through country that had been ravaged by the depression. I wanted to be sensitive to the plight of its natives, and I certainly didn't want to make them feel any poorer than they already did. I eschewed all the trappings of my wealth for this trip, as my goal was to blend in with the locals. I decided to limit my wardrobe to two pairs of overalls I had my tailor make out of one of my safari tents. I flew into Memphis and took a train deep into the delta. I noticed that the further we got from the city, the more suspiciously I was regarded. By the time I reached my final destination, Indianola, even children had stopped responding to my friendly whooping and hand clapping. Undeterred, I began knocking on doors in search of a juke joint, but I was not greeted warmly. Why did they not welcome me? Did they think me a dilettante looking to exploit their culture? How did they know I wasn't one of them? I decided it was because my outfit still reeked of privilege. I took off my watch and threw it in the dirt. When they still did not accept me as one of their own, I removed my shoes and socks. But it was for naught. I realized that my status as an outsider was belied not by anything I had, but by something I lacked: a dazed look of despair. Everywhere I turned, I saw the unfocused stare of abject poverty. Having seen the photos commissioned by the Farm Security Administration, these faces were not totally alien to me. But I was surprised to see that the people look like that all the time. At first glance, the entire region appears catatonic, but the careful observer can discern the machinations of a functioning, albeit morbidly depressed, culture. I knew that somewhere below this sea of torpor there was the pulsing heart of a musical culture that had enamored my friend, and now me. I also knew that to access it, I would have to go native to a degree that I had never done before. I stood at the precipice, and I jumped. And that has lead me to where I am today, ensconced in burlap and late for something called a shrimp bath. Will write more tomorrow.